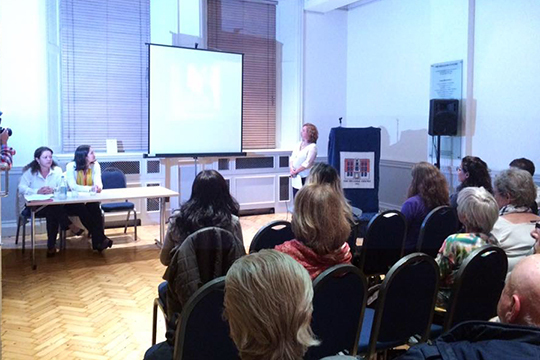 It was with impressions like these that our big event “The Wisdom of the Poem – an innovative approach” was concluded on Friday 18 September 2015 in London. 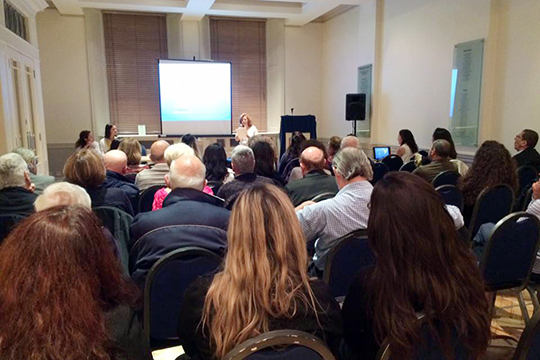 The event was held at the Hellenic Centre to a room packed full with about 80 attendees, Greeks of diaspora and members of the general public. 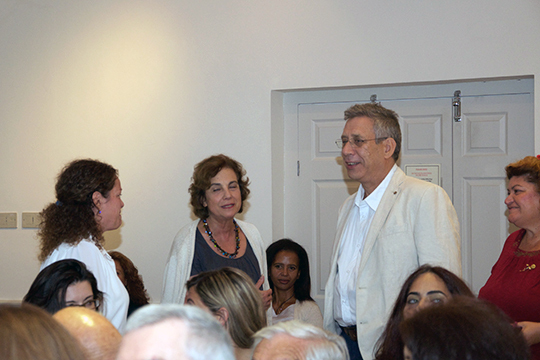 The audience was welcomed by the President of Omilos Eksipiretiton, Mr Andreas Dritsas who opened the evening by saying, “The powers of the Spirit are scattered in rays of light. To light up a torch you have to concentrate the beams of light and the best way to do that is Poetry”. 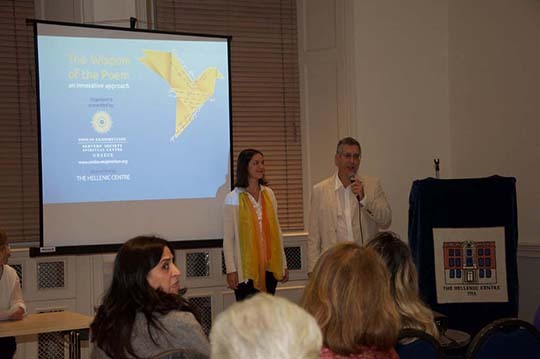 The head of Megas Seirios publications, Ms Paraskevi Kostopetrou presented the topic of the evening, Omilos’ method for the analysis of poetry, followed by the analysis of poems by K. Kavafis and A. Sikelianos. 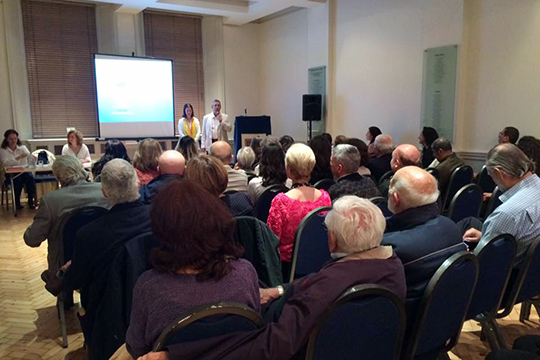 A presentation which everyone listened to with undiminished interest. 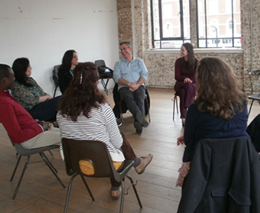 The subject matter provided an incentive for an intense conversation about the method of finding a deeper meaning, especially in relation to the specific analysis of the poems. Many spoke about the power of this method to elevate the concepts. 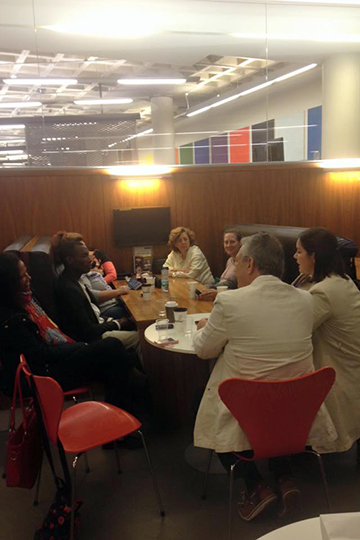 A lot of inquiries and opinions were also expressed. The discussion was so vivid that almost all attendees stayed much longer after the end of the presentation to discuss even more and get to know each other. 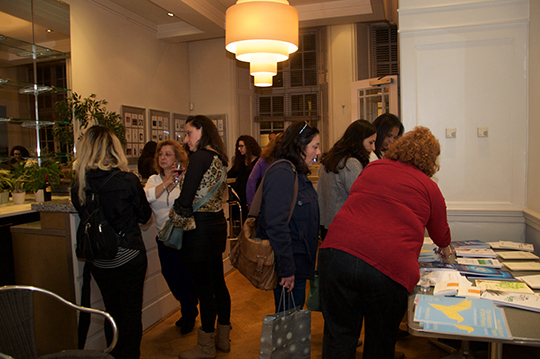 Quite a few were interested in the work of Omilos; our presence in England and the self-study group we have in London. 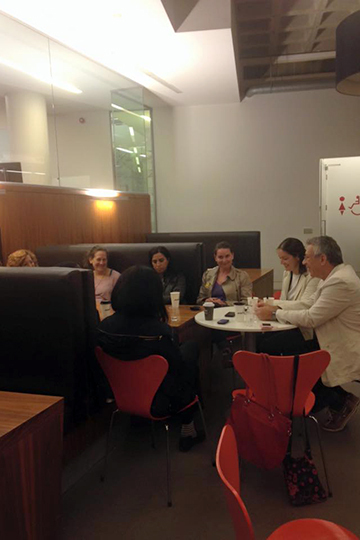 Our journey was concluded with some more meetings where new ideas and suggestions were made for presentations in London and more. 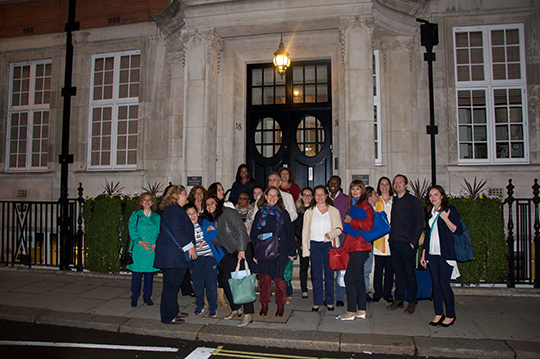 The heads of Omilos also met with members of our group in London and had individual appointments as requested. Stay tuned for future events and news.